GREENVILLE – The Darke County Visitors Bureau and Main Street Greenville recently unveiled the theme for Darke County’s second annual restaurant week, Pizza & Pints. 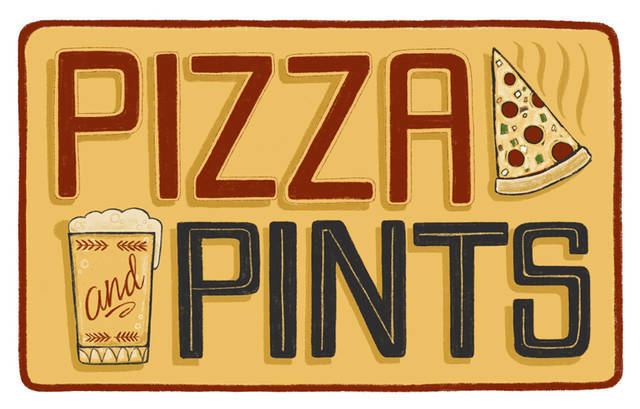 Pizza & Pints will take place from Feb. 17-23 at five participating restaurants around the county. Diners will be able to enjoy pizza and beer-themed specials during that week. When they eat out, they’ll be able to earn punches on a punch card – three punches earn them an entry in a drawing for a $100 gift card to a participating restaurant of their choice. The five participating restaurants are The Bistro Off Broadway in Greenville, The Don’s Pizza in Greenville, The Whistle Stop in Ansonia, The Merchant House in Greenville and Michael Anthony’s at the Inn in Versailles. In Ohio, the restaurant industry makes a significant contribution to the overall tourism economy. Restaurants add $16 billion to the state’s economy and support more than 500,000 jobs. In Ohio, the overall tourism economy is a $44 billion industry with a nearly $75 million annual impact in Darke County.